SPB TV is an app for watching TV on Android devices. Over 200 TV channels from worldwide are available on the Android devices. 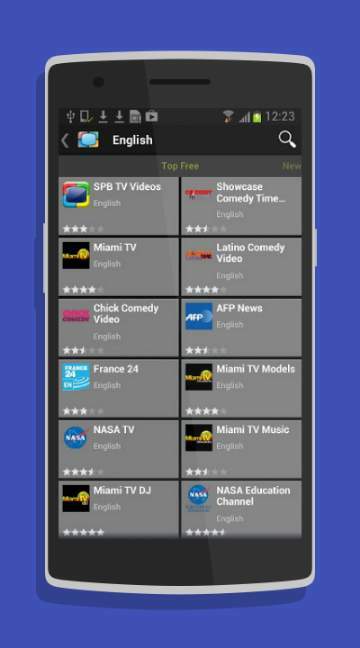 The app?s content store contains live and on-request, free and subscription, popular and less known channels. It is said that more than forty million users watch this app anytime and from anywhere. This app requires a good internet connection to provide an uninterrupted viewing experience. This app features simple and friendly UI, supports Android TV, supports WiDi, Chromecast, and Miracast, quick preview of channels, coherent TV guide, fast channel switching, supports adaptive network bandwidth, high quality streaming, categorized channel store and keyword search.